Junk Food Jones: Peeps Oreos! Oreo has released a new limited edition flavor. This time they’ve taken an Easter candy staple and smashed it between a couple of their cookies. Check it out! 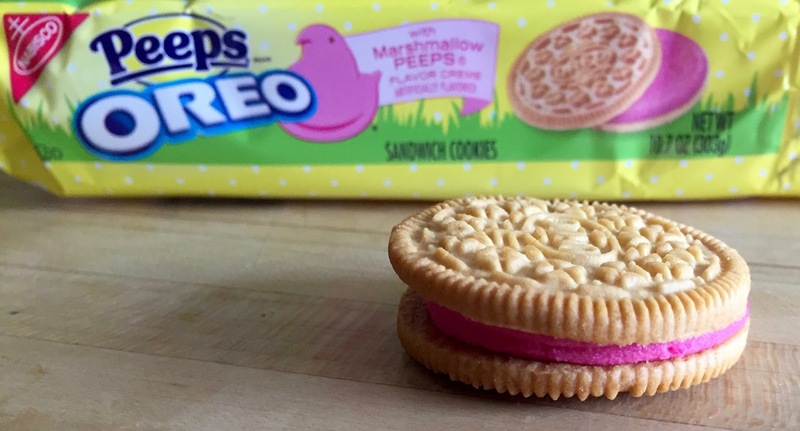 The thing about the Peeps Oreo, though, is that if you ignore the radioactive color (I think it’s officially called "Oh God, No! My Eyes! It Burns! It Burns So Bad! Pink") what you’ve basically got here is a regular Golden Oreo. 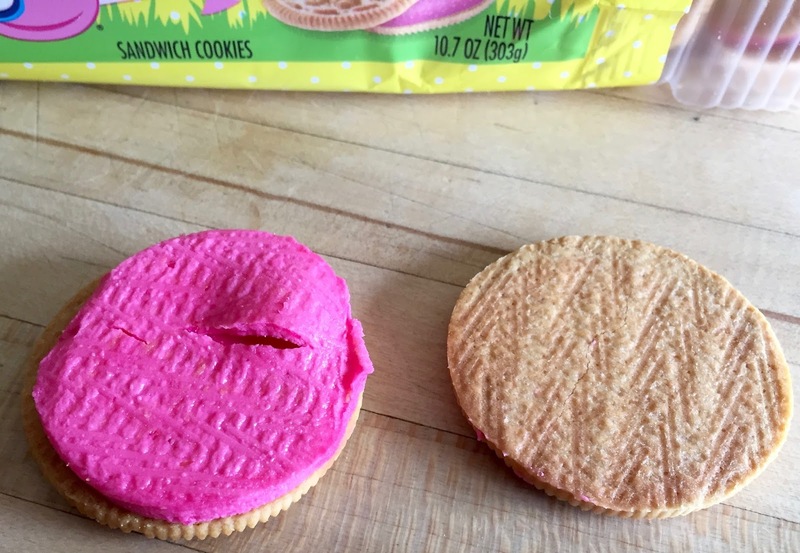 The cookies are exactly the same and the filling is only a splash of vanilla away from being exactly the same as well. 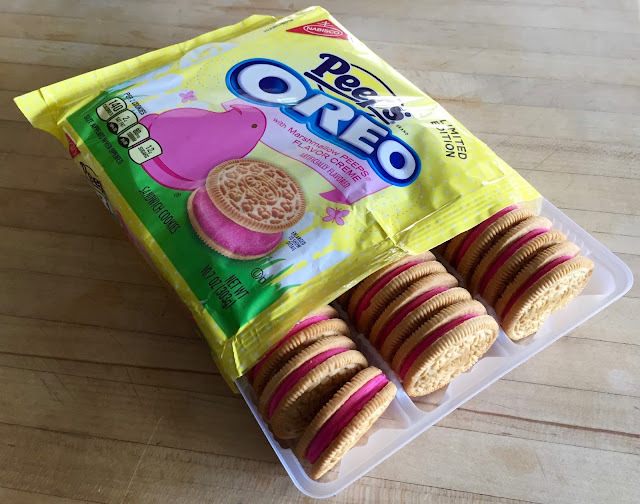 Peeps flavored Oreos are tasty enough and kind of fun to try but there’s really no reason to choose them over a regular old bag of the Golden kind unless you feel you have a shortage of Red 3 dye in your diet. If you do suffer from said shortage, though, these suckers will fix you right up, guaranteed. 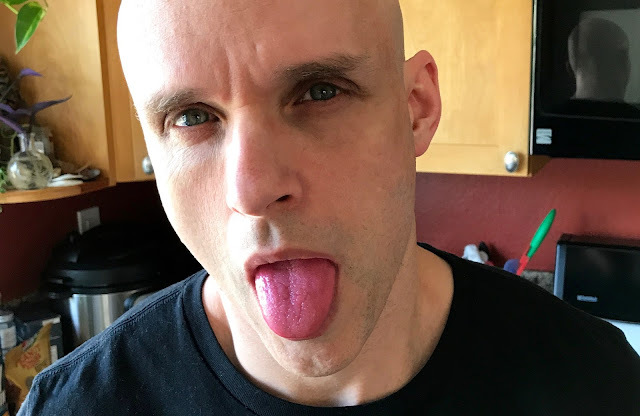 I ate two cookies about six hours ago and have eaten and drank many things since and my tongue still looks like someone went at it with a pink highlighter. So, thanks to Peeps Oreos, I guess eggs aren’t the only thing I’m coloring this Easter season.